The outbreak of the First World War in 1914 changed Bortkiewicz’s life. Being a Russian he was initially under house arrest and later forced to leave Germany. Going through Stockholm and Finland he finally reached St. Petersburg. He did not stay there but travelled to Kharkov, where he established himself as a music teacher, whilst at the same time giving concerts alone or together with the Czech violonist František Schmitt (better known as Frank Smit [1892-1960]) who was a pupil of Otakar Ševčík. In his Erinnerungen Bortkiewicz wrote about his friendship with Smit: “The excellent Bohemian violinist and student of Sevcik, Frank Smit, was interned for a short time as an Austrian, but then allowed to go free. We became friends and gave concerts together in South Russia. When we, even in Ukraine, felt a certain lack of food, we brought back sacks of flour and sugar from our concert tours. An adventurous concert trip to Orel, when the flight from the front started, ended with us coming home half dead, in a freight train traveling at a snail’s pace in the horrible cold. Our concert in Moscow was very successful. We were booked for a second concert, but it happened too late: the Bolsheviks had already seized power.” Frank Smit was married to Tatiana Kharin, daughter of Nicolau Kharin and Juliette Kharin-Babanin (who was the dedicatee of Bortkiewicz’s Primula Veris, opus 3 no. 4 and the Esquisses de Crimée, opus 8). During his years in Kharkov he composed his cello concerto opus 20 (dedicated to Paul de Conne [1874-1959]), and the violin concerto opus 22 (dedicated to Frank Smit [1892-1960]). The cello concerto was premiered in 1923 in Budapest, while the violin concerto was premiered in Prague in 1922 by its dedicatee František Schmitt (Frank Smit). Soon the circumstances changed dramatically. 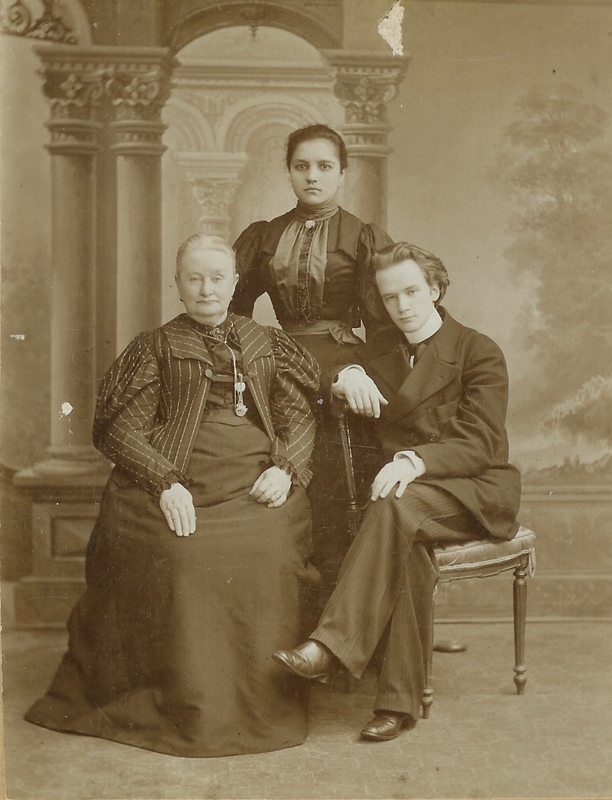 Bortkiewicz’ mother, her daughter Vera and her husband, fled from Charkov to Novorossysk. Bortkiewicz’ mother and Vera’s husband fell ill with typhus fever, of which both died in the chaos of Novorossysk. In the autumn of 1920 Enlgish, American and Italian warships came to Yalta to pick up soldiers of the army of General Wrangel and refugees from all over Russia: “Thanks to my knowledge of languages, I took on the job of an intermediairy. To start with I sold my own personal valuables to foreign officers, then jewels, rings, broches of my friends.” Bortkiewicz became friendly with Thomas.W.G. Settle (1895-1980), lieutenant on an American destroyer (problably the USS Whipple): “He bought jewels from me, I got golden dollars and golden Turkish pounds.” Bortkiewicz dedicated his piano album Der Kleine Wanderer, opus 21 to Thomas Settle. Sergei and Elisabeth Bortkiewicz arrived in Constantinople (Istanbul, Turkey) on 24 November 1920. By then, more than a hunderd and fourty ships with Russian emigrants had anchored near the city. Bortkiewicz was one of the nearly 146.000 Russian refugees that were aboard these vessels. Levantine boatmen came in boats and offered bottles of water, loaves of bread, chocalate and other delicacies in exchange for wedding rings, watches and fur coates. “But we had to be thrifty and turned our eyes away from temptation. I had 20 dollars in my pocket, that was all. My 1,5 million Russian roebel were totally worthless! We had only a couple of suitcases with clothes, a little underwear and my manuscripts.” Bortkiewicz and his wife had to spent 10 days on the Konstantin, before they got permission to go on land. Very good informations about this musician.